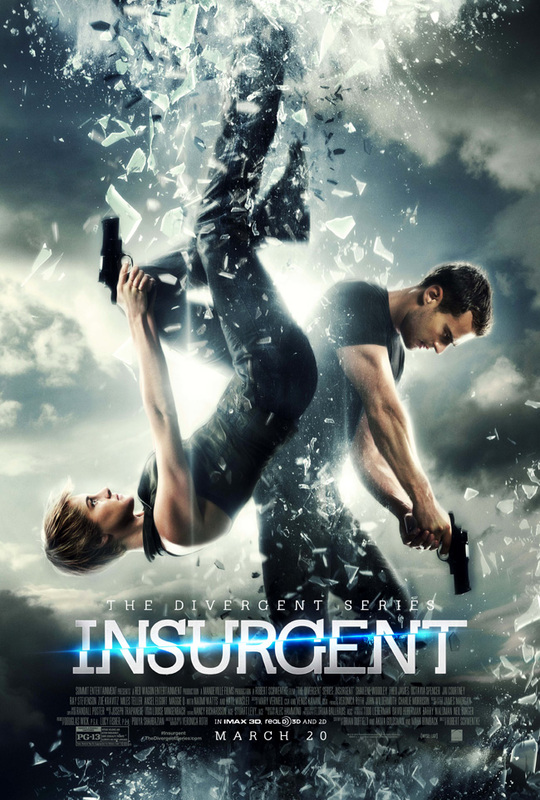 CHICAGO – In the latest HollywoodChicago.com Hookup: Film, we have 25 pairs of advance-screening IMAX movie passes up for grabs to the highly anticipated new film “The Divergent Series: Insurgent” starring Shailene Woodley! “The Divergent Series: Insurgent,” which opens on March 20, 2015 and is rated “PG-13,” also stars an all-star cast including Ansel Elgort, Theo James, Kate Winslet, Naomi Watts, Miles Teller, Jai Courtney, Zoë Kravitz, Maggie Q, Octavia Spencer, Ashley Judd, Mekhi Phifer and Ray Stevenson from director Robert Schwentke and writers Brian Duffield and Akiva Goldsman based on the novel by Veronica Roth. To win your free “The Divergent Series: Insurgent” passes courtesy of HollywoodChicago.com, just get interactive with our social media widget below. That’s it! This IMAX screening is on Monday, March 16, 2015 at 7 p.m. in downtown Chicago. The more social actions you complete, the more points you score and the higher yours odds of winning! Completing these social actions only increases your odds of winning; this doesn’t intensify your competition! One choice can transform or destroy you, but every choice has consequences. As unrest surges in the factions all around her, Tris Prior (Shailene Woodley) must continue trying to save those she loves – and herself – while grappling with haunting questions of grief and forgiveness, identity and loyalty and politics and love. Her initiation day should have been marked by celebration and victory with her chosen faction, but instead it ended with unspeakable horrors. War now looms as conflict between the factions and their ideologies grows. In times of war, sides must be chosen, secrets will emerge and choices will become even more irrevocable and powerful. Transformed by her own decisions but also by haunting grief, guilt, radical new discoveries and shifting relationships, Tris must fully embrace her divergence even without knowing what she may lose by doing so. The movie poster for “The Divergent Series: Insurgent” starring Shailene Woodley. This HollywoodChicago.com Hookup is simple! Just get interactive in our social media widget above. We will award 25 admit-two IMAX movie tickets based on social entry numbers and/or randomly via e-mail for our “The Divergent Series: Insurgent” Hookup. Good luck!